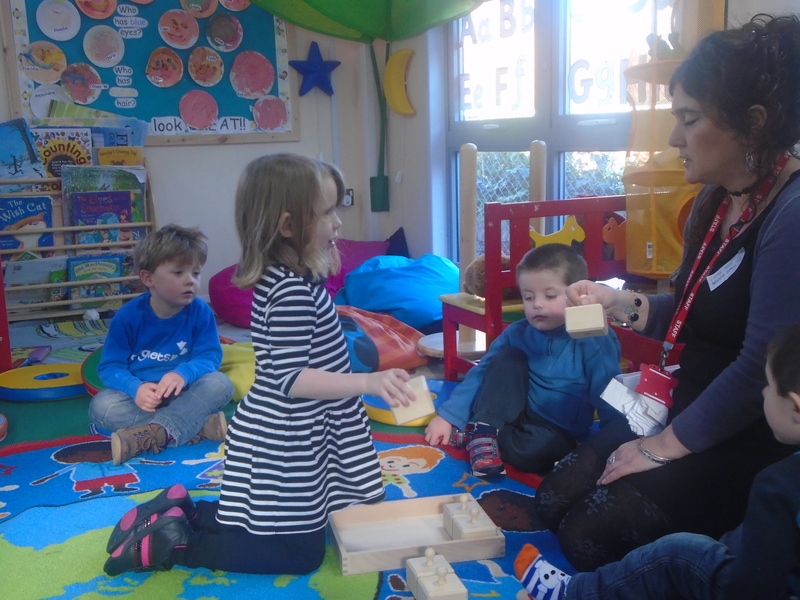 We have lots of open-ended opportunities for children to explore making and creating, using a variety of tools and materials. We encourage visitors – here Glenn came in as part of our topic on sounds: changing sounds, making them quiet/loud, happy/sad, fast/slow, etc. We have a few budding drummers! 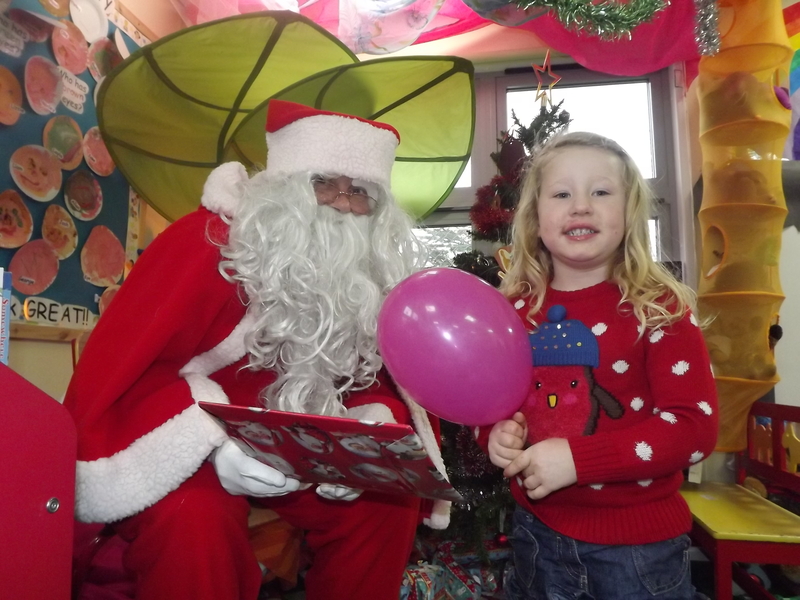 … followed by our Christmas party and a special visit from Father Christmas. 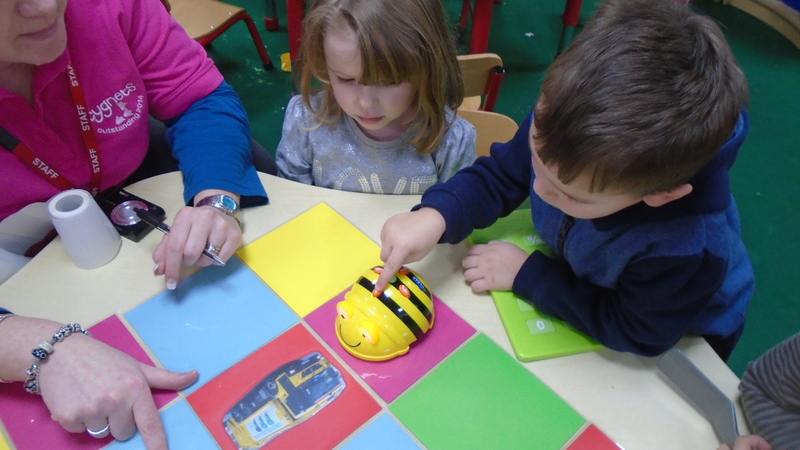 Exploring IT: Children are leaning to use BeeBot – our programmable bumble bee. They also have access to computers set up with age-appropriate educational software. 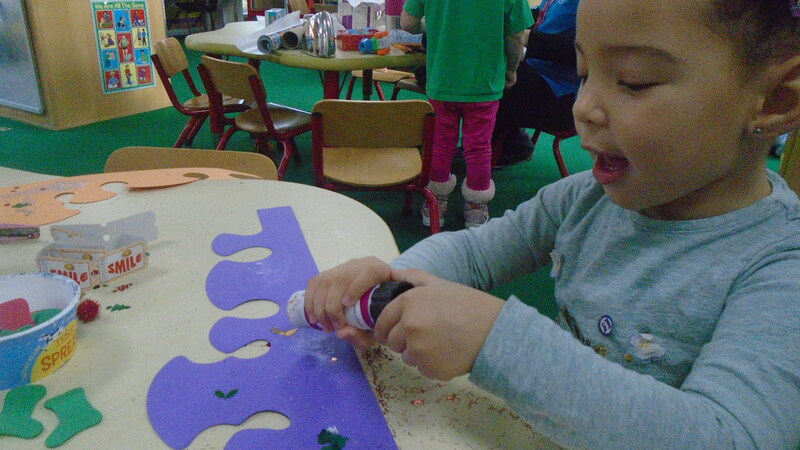 During circle time (adult-lead focused time) we explore and investigate. Here we are comparing and contrasting the different sounds in our sound boxes. 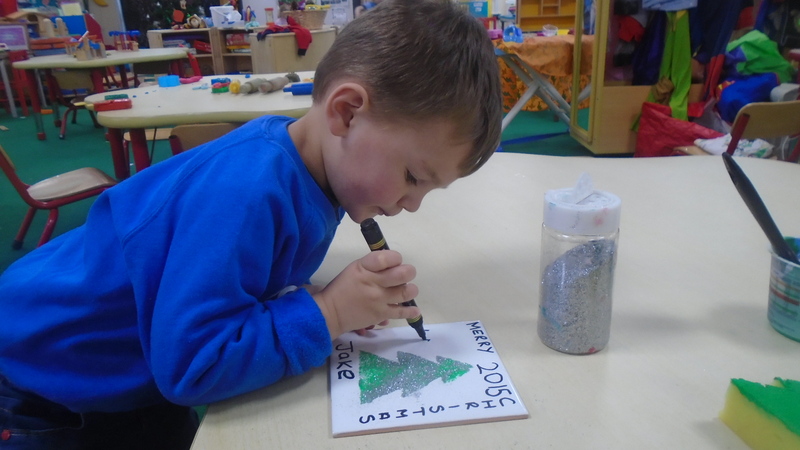 Children have lots of varied opportunities to mark-make – both indoors and outdoors – including ribbon writing, drawing in the sand, chalking and using a variety of pencils crayons and markers. 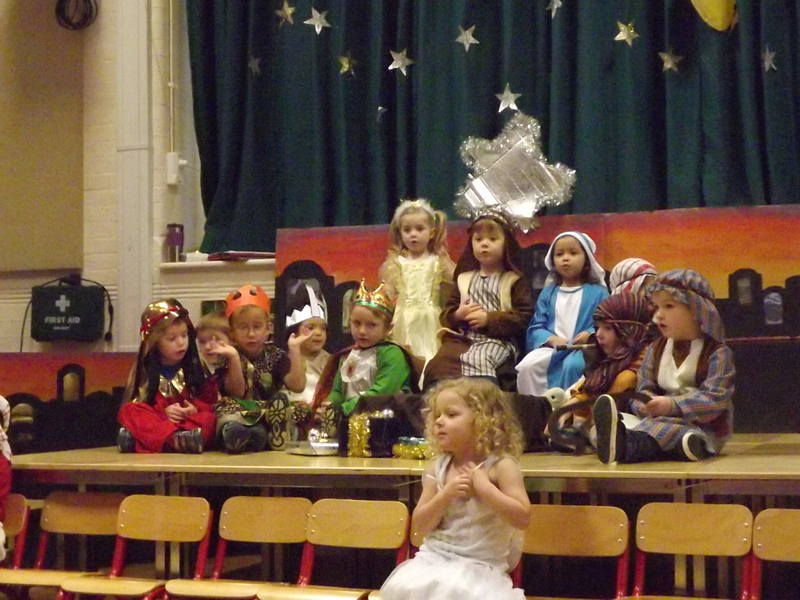 We encourage parents to “stay and play” during our friendly open sessions which we hold at set times during the year. If a parent would like to help out/stay/play on regular basis you would be very welcome. Please ask a member of staff if you’re interested. 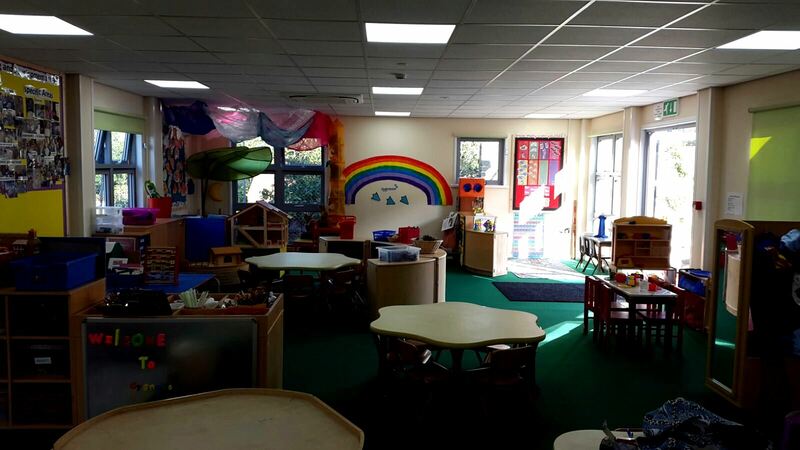 Our lovely play, learning and development space. Doors lead from this room into our outside play area; we have a free-flow system in operation so that children can chose as and when they wish to play outdoors.